Summer is coming to a close which means one thing to me… HALLOWEEN! As soon as the first leaf hits the ground, I bust out the Halloween decorations, and gleefully go to work making my house into something spooky. 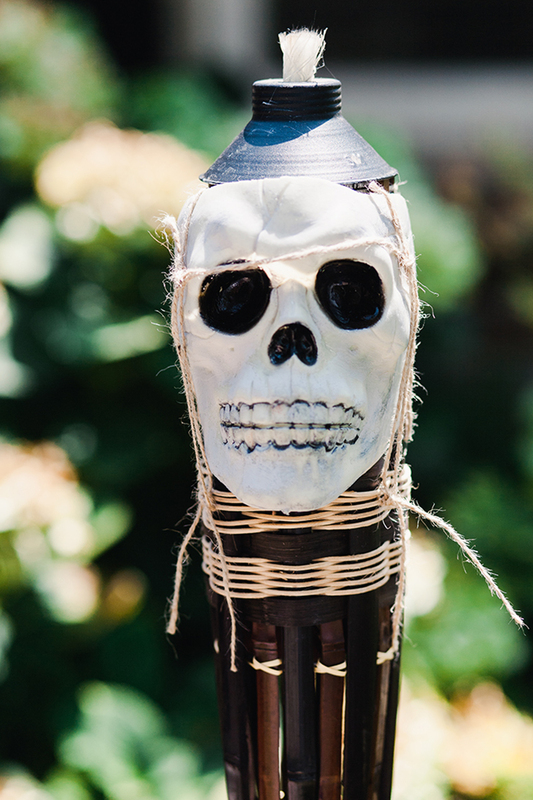 This year we had a family luau and have a number of tiki torches left over. I remembered how cool the torches looked at night – like something from a remote island – and knew they had to be used for something Halloween-related! 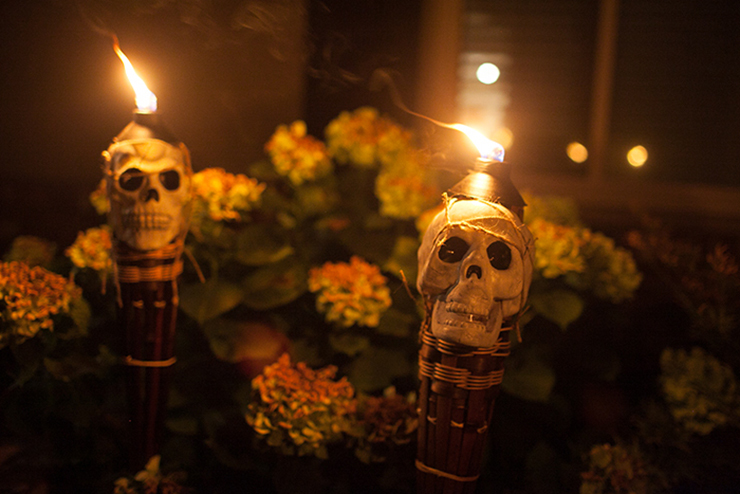 Flaming Skull Torches are the perfect way to line your walkway for Halloween! The great thing about this project is that the torches look great during the day without the flame and even better at night when you light them up! 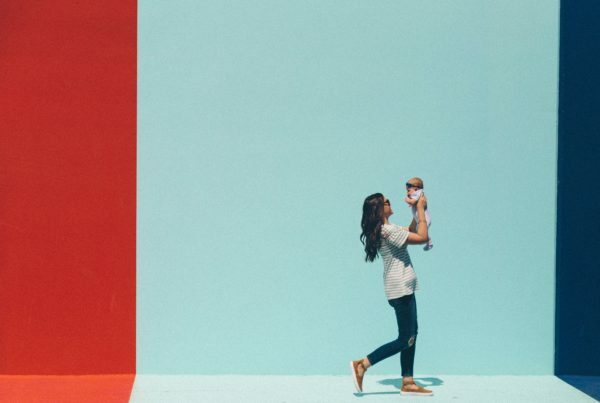 Note: this post contains affiliate links which may give us a commission at no additional cost to you. Grab your scissors and start cutting! Seriously, this project is that simple! Take one of your plastic skulls and cut a large opening at the top of the head. Next you will cut a large hole towards the back base of the skull, about where the spinal cord looks like it would attach. In order to make the skulls easy to slip on and off, I cut a slip along the back as well. 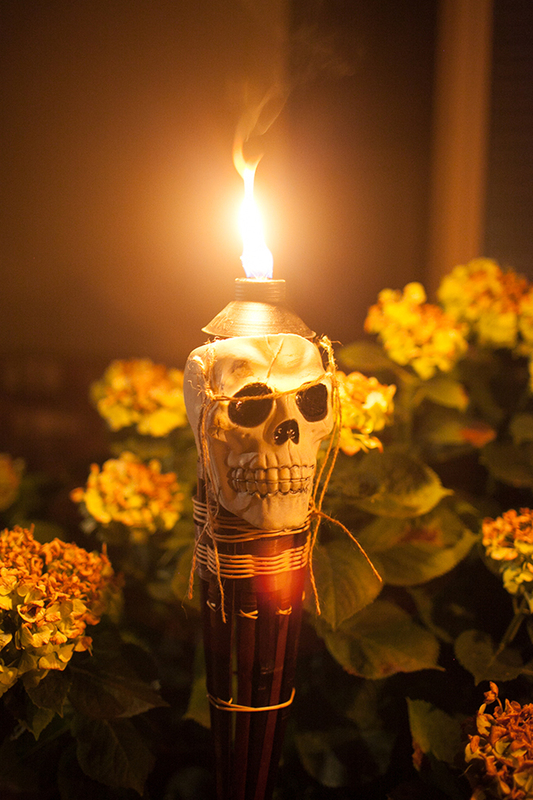 Once your holes are cut, you should be able to easily slip the skull over the top of the torch. 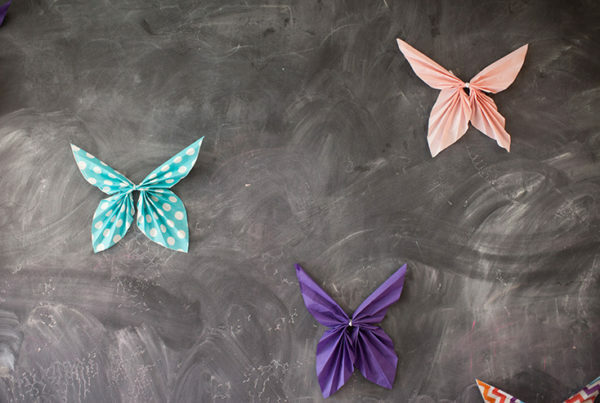 Next, you can use your twine to add some flair. 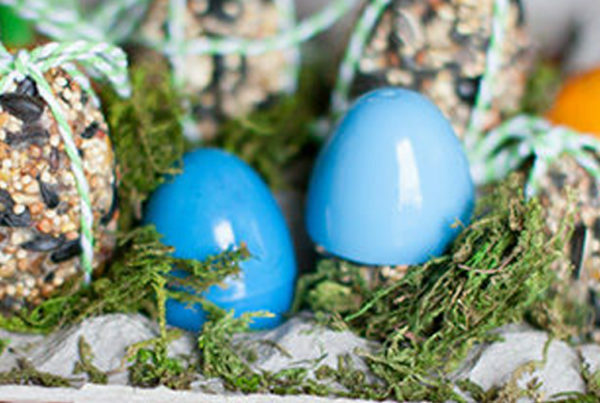 Wrap the twine around tightly in whatever style you want. 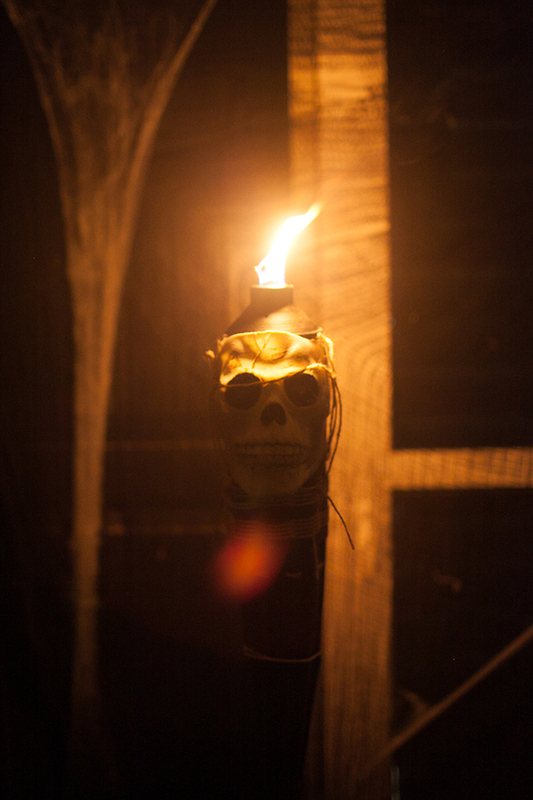 The twine will also help the flaming skull stay in place on the torch. 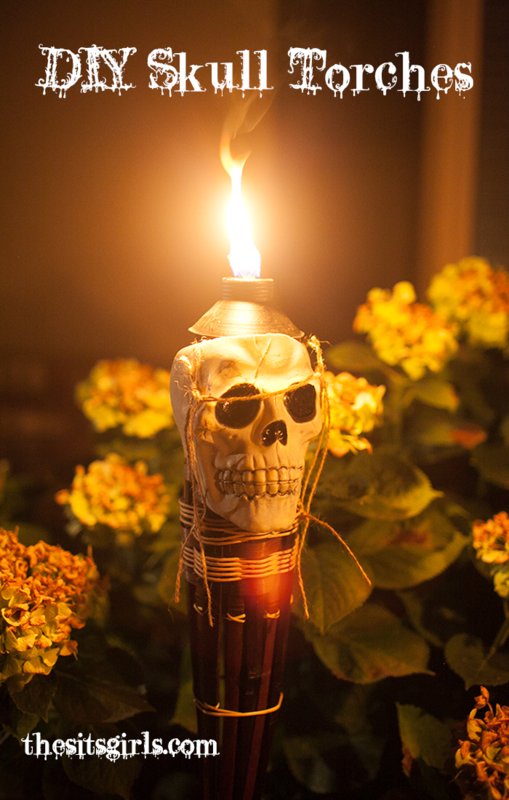 The skull torches look really cool during the day, but they come alive at night! They look like something you might find on an island full of creepy cannibals? 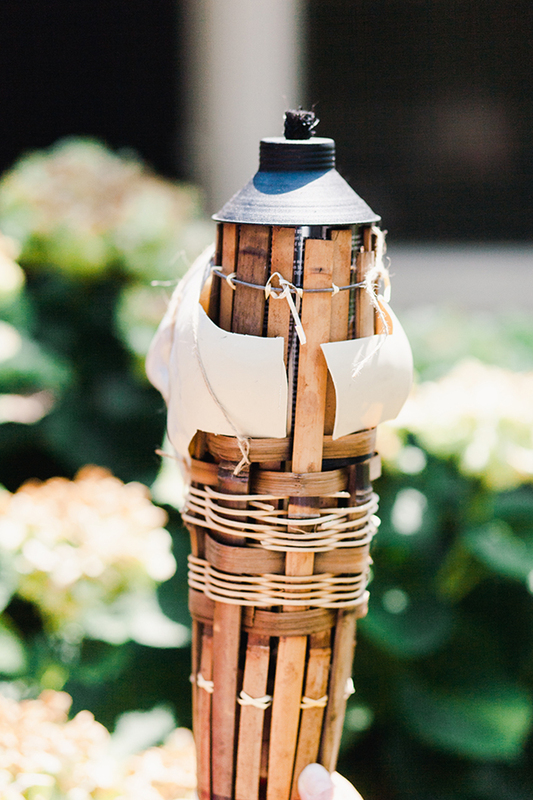 Fill your torches with tiki torch fluid, and light them up! 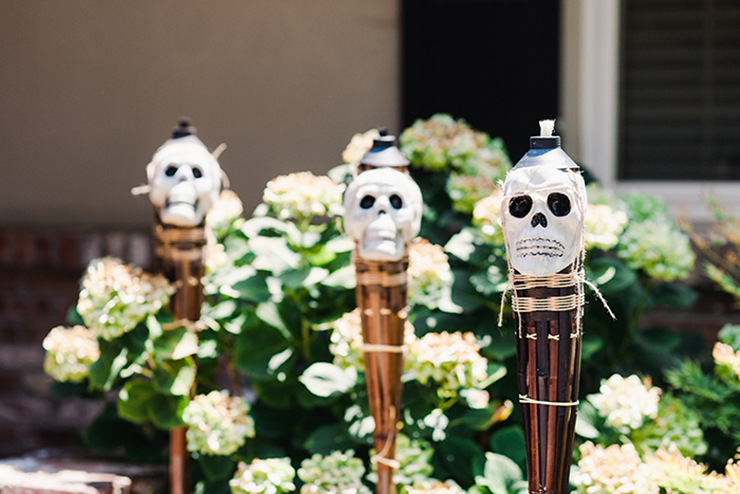 The best part about this project is that next year when summer rolls around, you can easily slip off the skulls and use the tiki torches again! 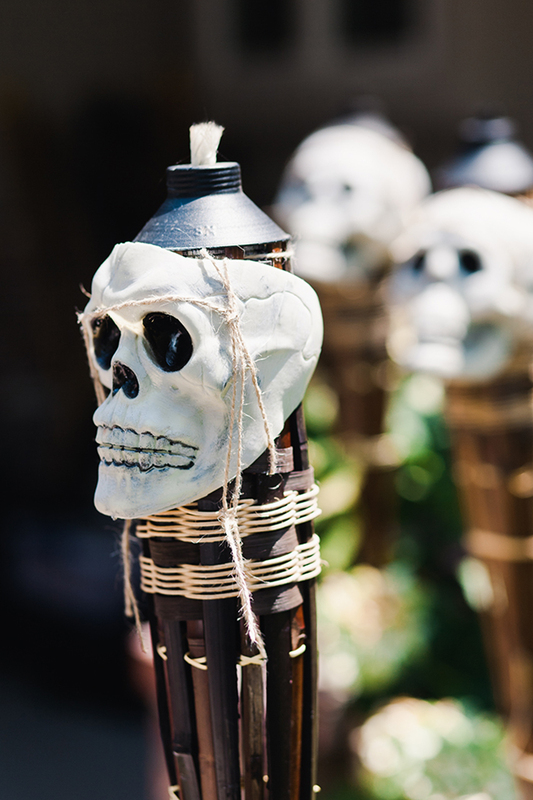 Not to mention, when you buy tiki torches AFTER summer, the deals are AMAZING! We even stuck our tiki torches in our flower pots by our windows. Needless to say, I am obsessed and will totally make more! Want more Halloween inspiration? 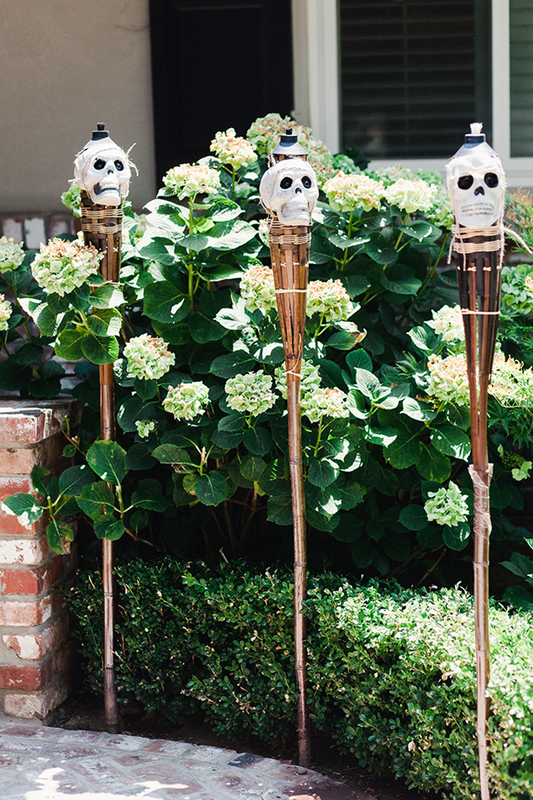 Check out these Halloween Ideas For Decorations You Need NOW!